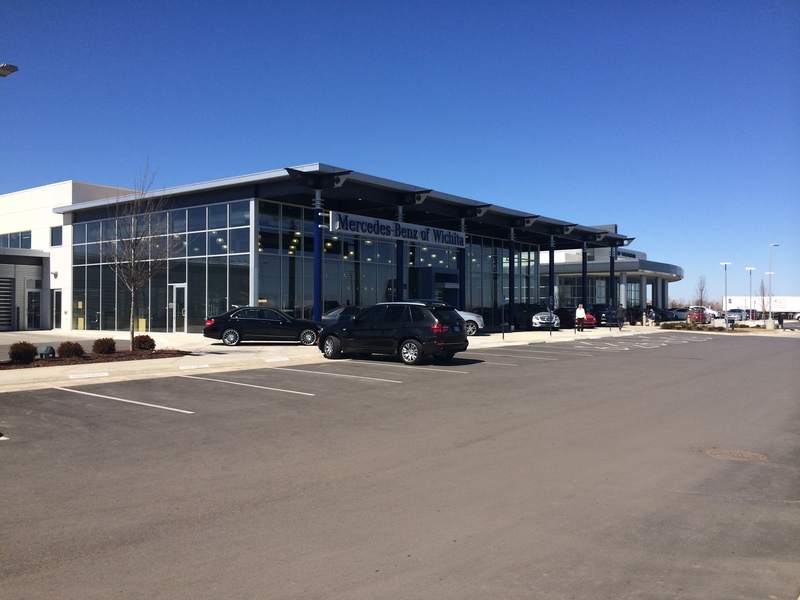 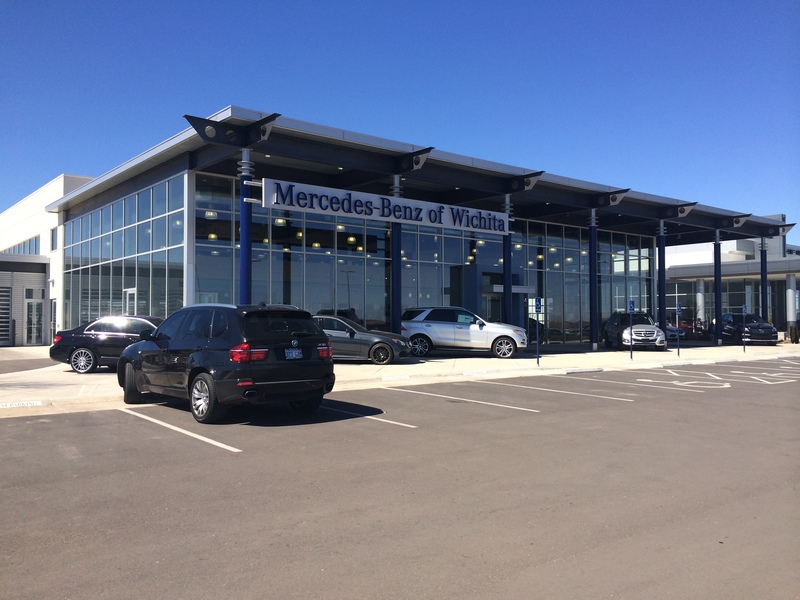 The Mercedes Benz of Wichita project featured installation of horizontal corrugated panels and our Series 30 Perimeter Extrusion system. 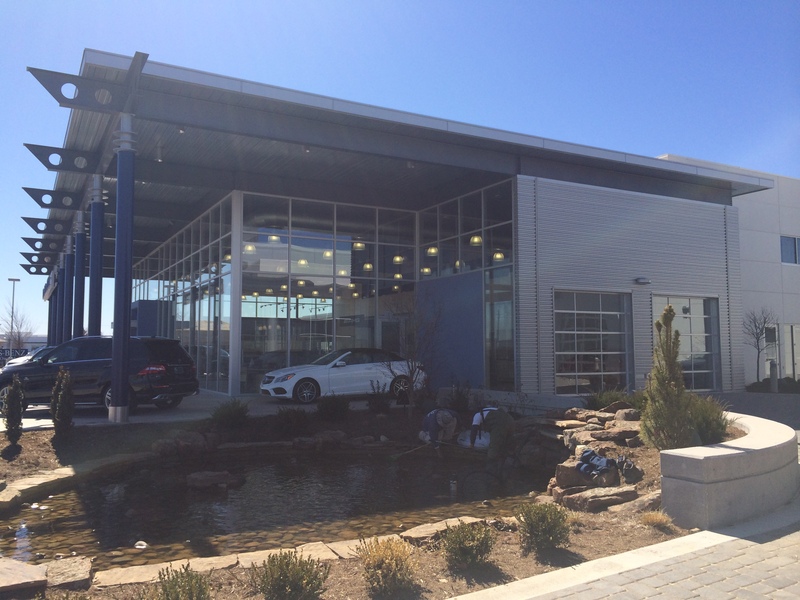 This was utilized at the top band of the fascia adding an accent color. 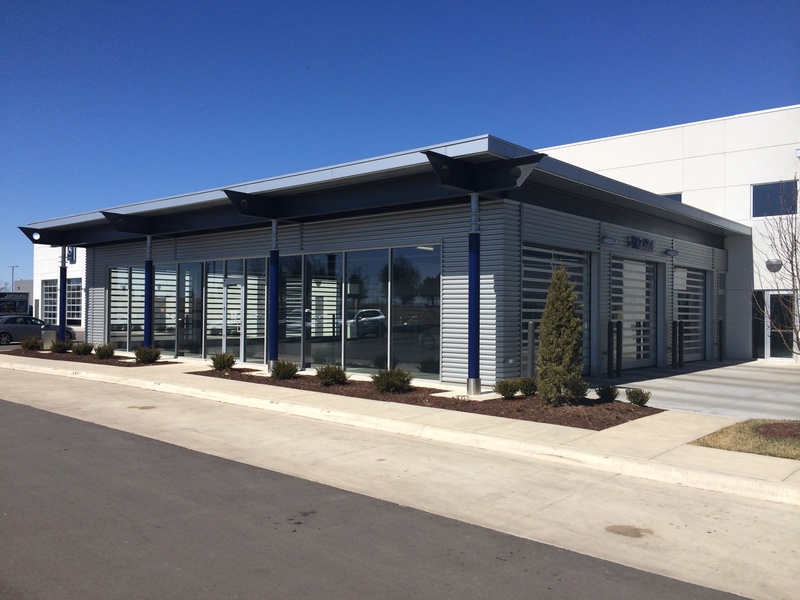 The Series 30 system allows for a quick installation and a simple way to add color to enhance the design features.